Imagine that it’s crunch time. Kids are in the thick of AP and IB exams with finals just around the corner. The stress level in the school and at home is rising. Out goes free time and in comes study sessions and flashcards. Yep, kids still use flashcards. Why do they still persist? Because they work. However, I’ve noticed that teens waste a lot of time, mindlessly reviewing all their flashcards. 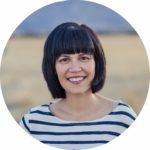 There is a better, more efficient method that allows you to drill down on the terms that are giving you the biggest problems. Before we get started, a word of warning. 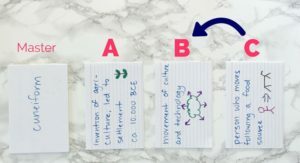 Flashcards are great for reviewing material you already learned in class. It’s not a great way to learn new material. In fact, I don’t recommend using flashcards for new material. What’s the point of memorizing formulas if you don’t understand them? Wait until the concepts or terms are introduced in class and used in context a few times. Suddenly, you can link that term to a larger concept taught in class. 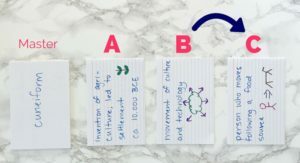 Flashcards are super easy to make. 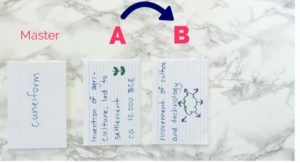 While index cards are sturdier, plain paper will work just fine. Pen or a marker is best because pencil tends to smear over time. If you would rather type your cards, simply google “flashcard template.” Grab one and start typing. Printing can get a little weird – just a head’s up. There are also apps you can use as well. I personally love Quizlet and used it in my classroom. In general, less is more. 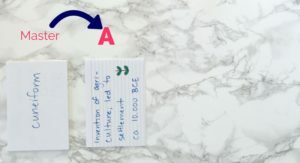 If you look up flashcards on Pinterest (don’t!) 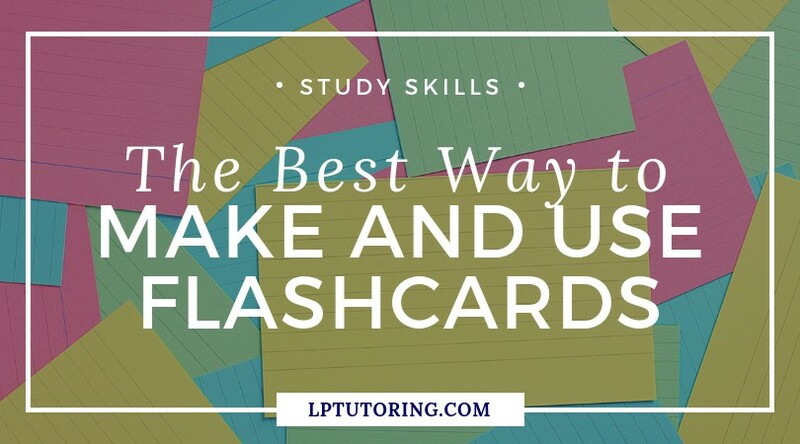 you will see a lot of intricate flashcards in pretty colors and handwriting. While beautiful, they actually aren’t that useful. 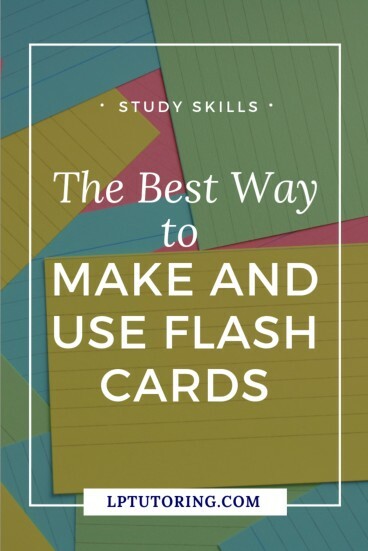 Flashcards should contain one small piece of information, not an essay. 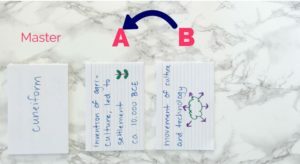 When making flashcards, keep it simple. On one side write a single term. On the other side, write the definition IN YOUR OWN WORDS. Please don’t copy the definition from the textbook! I have seen many students mindlessly reviewing a definition they don’t actually understand. Paraphrasing is an important part of the learning process. 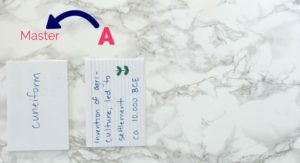 When you paraphrase, you are deciding what part of the definition is the most important and making connections to other information you have learned. If you aren’t able to paraphrase the definition, you don’t understand the term enough. That’s a cue to talk to your teacher. I also highly recommend adding simple drawings or illustrations to the cards. The drawing might help define the word, make a connection to another idea, or be a play on words to help you remember the term better. Cant’ draw? (Raising my hand.) That’s fine. Stick figures are totally OK. So, you have a nice pile of cards. How do you actually use them for review? Actually, force yourself to recall the information. Lots of us see the term, tell ourselves that we know it, and turn over the card without actually recalling the definition. Instead, make yourself remember the definition BEFORE turning it over. Say the definitions out loud. Your brain processes information you say in your head differently from the information you say out loud. Actually speaking the words is a harder process. Even if you’re in a crowd of people, quietly say the words under your breath. Flashcards are best when used multiple times. Like 10, not 2. Also, review the over a period of time, not just overnight. Stash your cards in your backpack and take them out when you have some downtime – maybe before practice or waiting to get picked up. Shuffle the deck every few review sessions. Your brain gets used to the order after a while. Make your brain work by seeing the terms in a different order. You want to spend more time on the toughest words and less time on the easy terms. This is sometimes called the waterfall method. It’s also a great visual for teens about their progress or lack thereof. Step 1: Place all the cards in a Master Pile and then review all the cards. Keep the cards you definitely know in the Master Pile. Place the ones you don’t know in Pile A. Step 2: Review only the cards in Pile A. Place the cards you don’t know in Pile B. Keep the ones you do know in Pile A. Step 3: Review only the cards in Pile B. Place the cards you don’t know in Pile C. Keep the ones you do know in Pile B. Repeat this process until you know all the cards. Now you are going to reverse the order. Step 4: Review all the cards in your last pile. This becomes your new master pile. Step 5: Review the cards in the master pile and Pile B. Step 6: Review the cards in the master pile and Pile A. Why is this more effective? 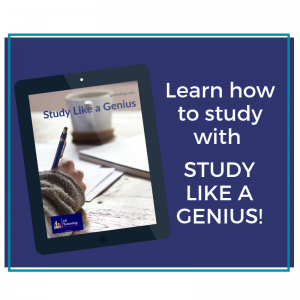 You have studied the hardest terms at least 6 times as opposed to only twice for the easiest terms. You used your time more efficiently, studying what you don’t know, instead of reviewing material you already have down pat. Keep flashcards for review purposes only. On the card, write the term and definition (in your own words) and add a drawing. Spend more time reviewing the harder words and less time on the easier ones.